The image by Georgian photographer Giorgi Nikolava features the Church of Archangels built in the middle ages in Georgia’s remote Svaneti region. 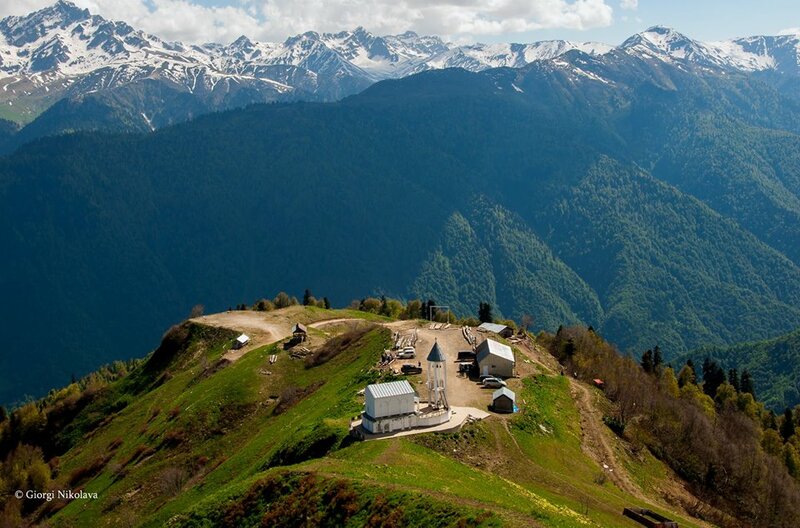 As reported the church is located on the top of Skalda Mountain, 2200 meters above sea level. As it is known, the church is home to a precious icon featuring the Archangels Michael and Gabriel with Jesus standing between them. The locals think that the icon can conduct miracles that is why they care about it so much.